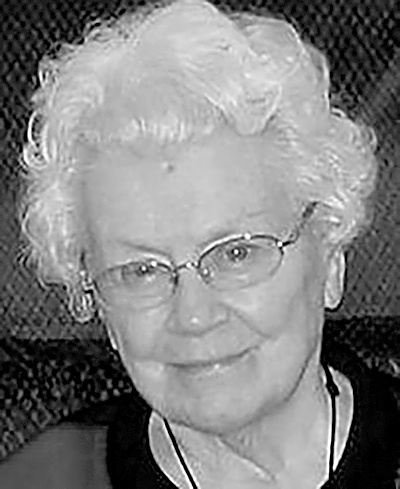 Dolores E. Dooley, 95, of Steubenville died Thursday, August 23, 2018 at Country Club Manor. She was born February 24, 1923, in Carnegie, PA. She is the daughter of the late Austin and Euphemia McCaffrey Ireland. She is also preceded in death by her husband John Dooley; three brothers ,John, Robert, James Ireland, and one sister, Constance McArthur. Dolores was a member and past president of the Holy Family CWC, Steubenville Women’s Club, Eastern Ohio Women’s Club and the St. John Medical Center, Women’s Auxiliary; Dolores was also the past president of the former Annunciation and Immaculate Heart of Mary Deaneries. Surviving are four daughters Barbara (Roger) Hardman of Lakeland, FL, Janice (Myron) Watzman of Pittsburgh, Karen (Bailey) Harrison of McAlester, OK and Joyce (James Tonner) Stavick of Lulu, GA; nine grandchildren Lisa, Laura, Jennifer, Douglas, Michael, Thomas, John, John, Rebecca and 10 great-grandchildren. Calling hours will be Sunday from 2 to 5 p.m. at the Mosti Funeral Home, Sunset Chapel, 4435 Sunset Blvd., Steubenville. A Funeral Liturgy with Mass will be celebrated Monday at 10 am at Holy Family Catholic Church, Msgr. Gerald Calovini will celebrate. Entombment will follow in Mt. Calvary Cemetery. A vigil service will be held Sunday at 4:45 p.m.